Come and get your own little piece of heaven! 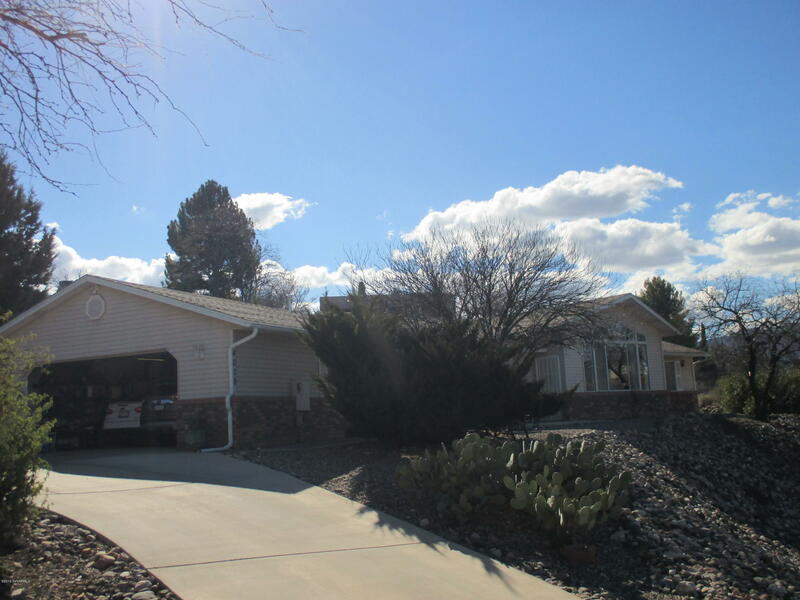 This home sits perched on a hill with fantastic views of Mingus Mountains and the Red Rocks plus a 22x30 RV garage all on .42 of an acre. Sellers put in new wood floors in living room & new master bath in this spacious open split floor plan with cathedral ceilings. Natural gas heat, Central A/C, attached oversized 2 car garage plus storage shed. Easy care landscaping. There are two 12 foot doors in RV garage to drive through and exit to circular driveway for easy maneuvering. Come take a look!